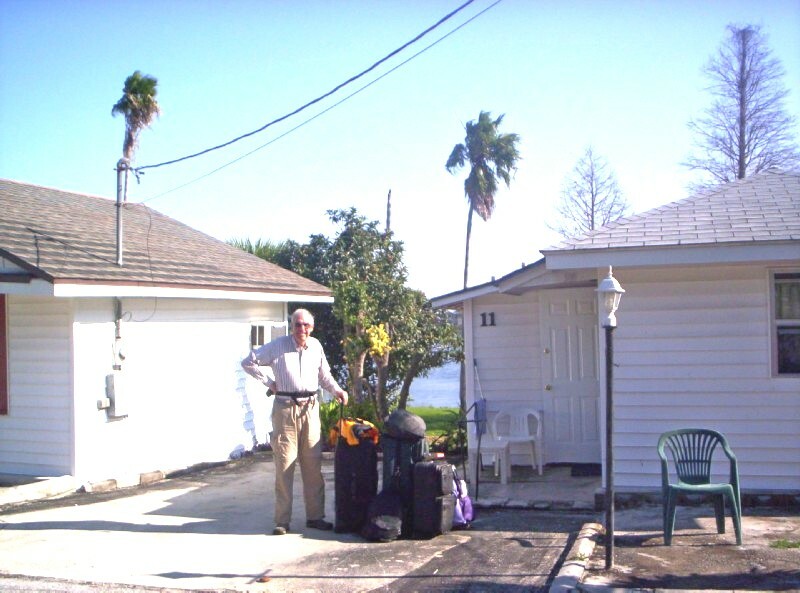 A 45 minute train ride took us to Winter Haven, where the proprietor of the Lake Ida Beach Resort met us and transported our luggage while we biked the approximately 3.9 miles. 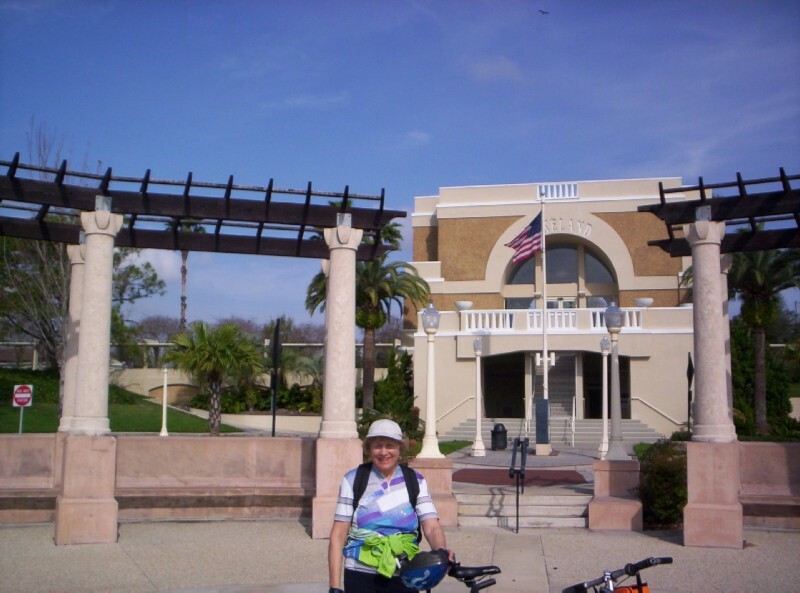 The train station is just south of downtown Winter Haven; and our destination was about 2 miles north of downtown on the opposite side of the small Lake Ida from a bike path that runs from downtown to the town of Lake Alfred a total of 3.5 miles. To get around the lake from the bike path to our lodging, we went through a cemetery. 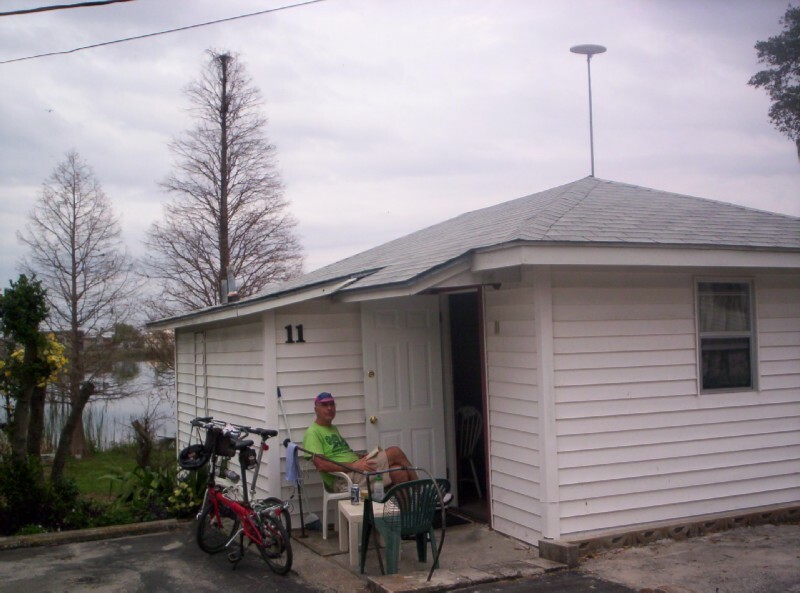 Lake Ida Beach Resort isn't really a resort, rather old time tourist cabins along a small lake. 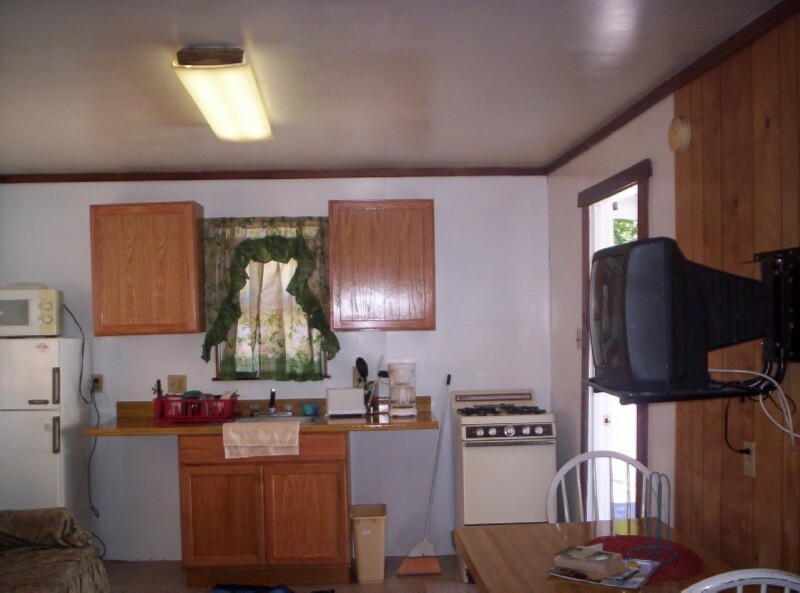 There really isn't any beach either. In fact none of the lakes all over central Florida seem to have beaches. Too many alligators, I guess. Nevertheless, we enjoyed our stay very much. Relaxing outside of No. 11 after a long days ride. 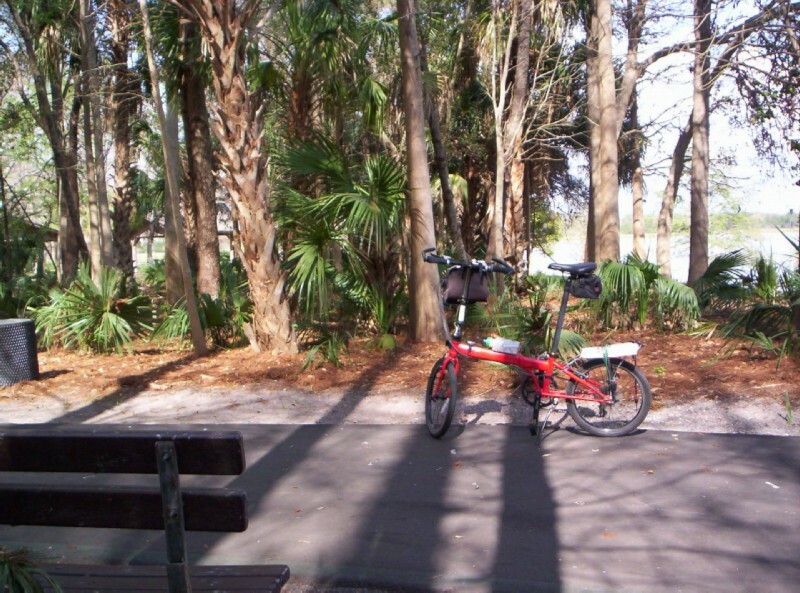 After we would get back from our day's ride, I often continued on the trail to its northern terminus in Lake Alfred, and once continued on a back road all the way to Haines City and back, a total of 19 miles. 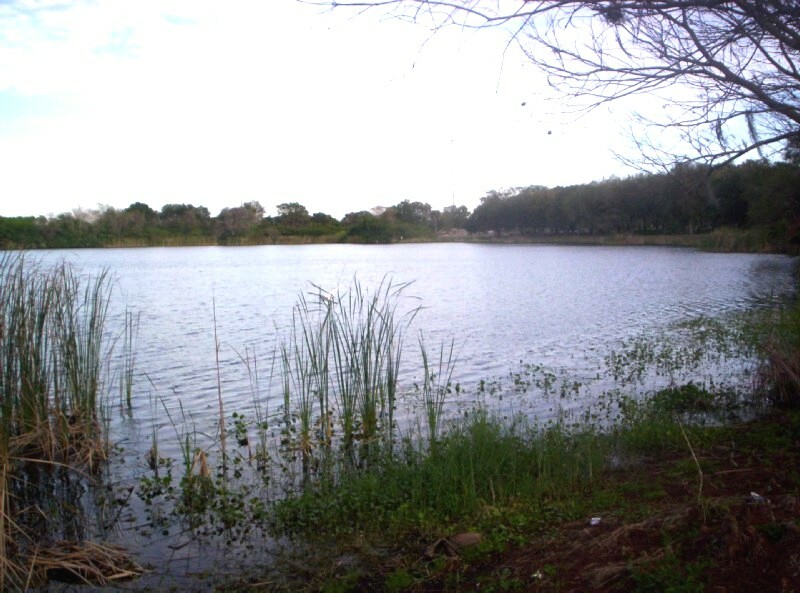 Lake Ida. 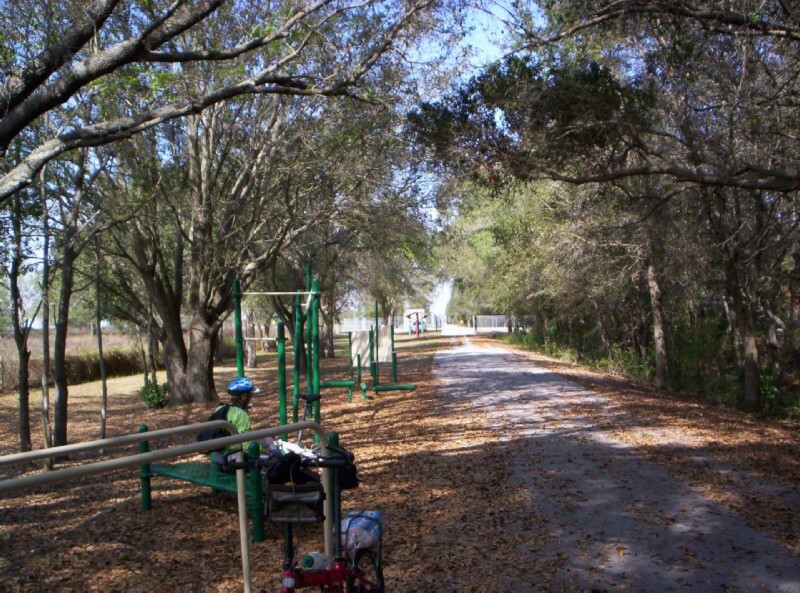 The bike path between downtown Winter Haven and Lake Alfred is across the lake. 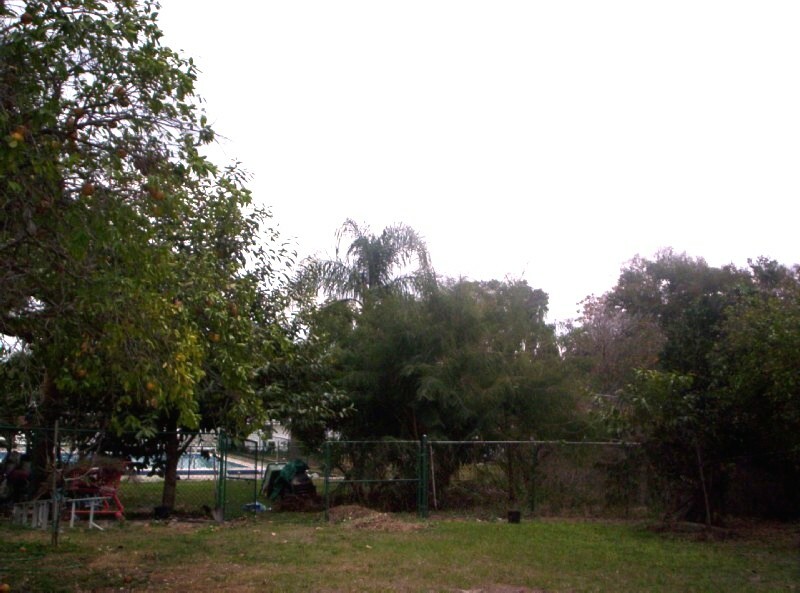 Another view of Lake Ida. 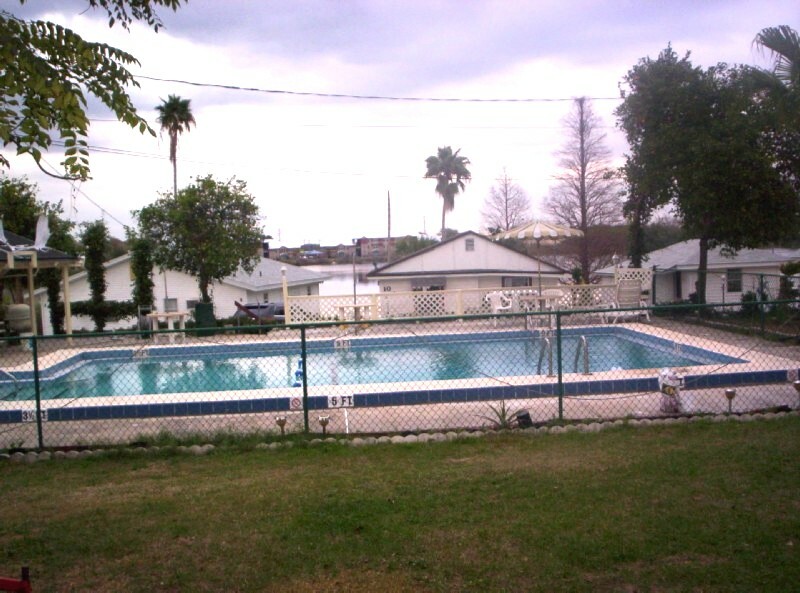 Swimming pool at Lake Ida Beach Resort. The grounds at the resort were not all that well kept (I presume they were a work in progress). But we did enjoy fresh grapefruit from the trees every morning. 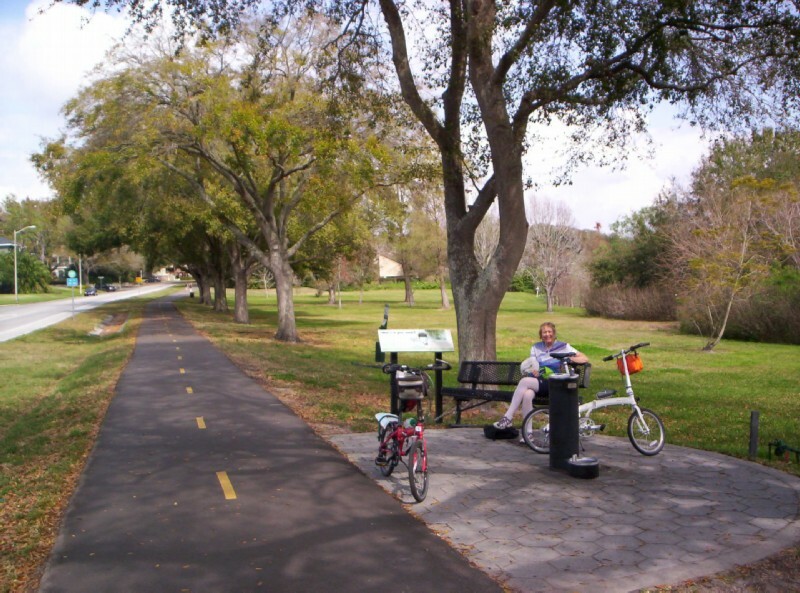 We enjoyed biking around the city of Winter Haven with its 45 lakes, 24 of which are connected by canals referred to as the Chain of Lakes. 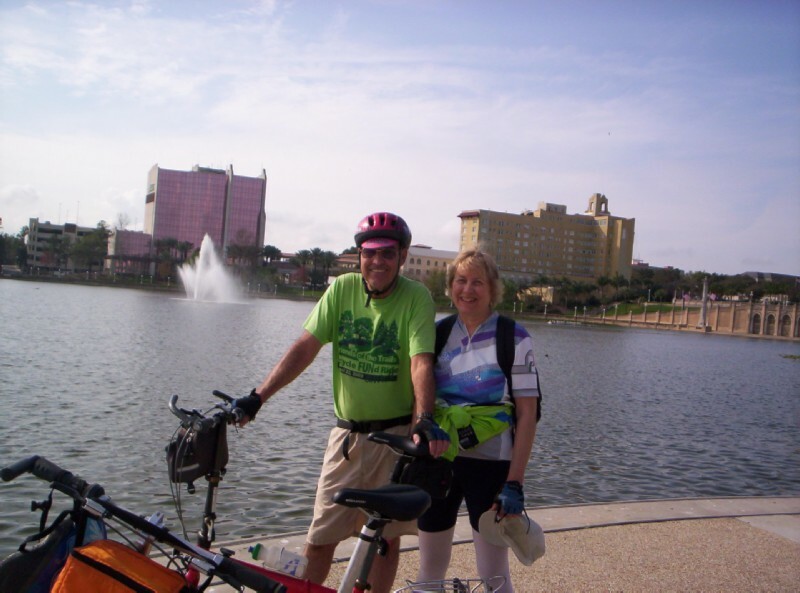 We also made side trips to Auburndale, Bartow, and Lakeland. 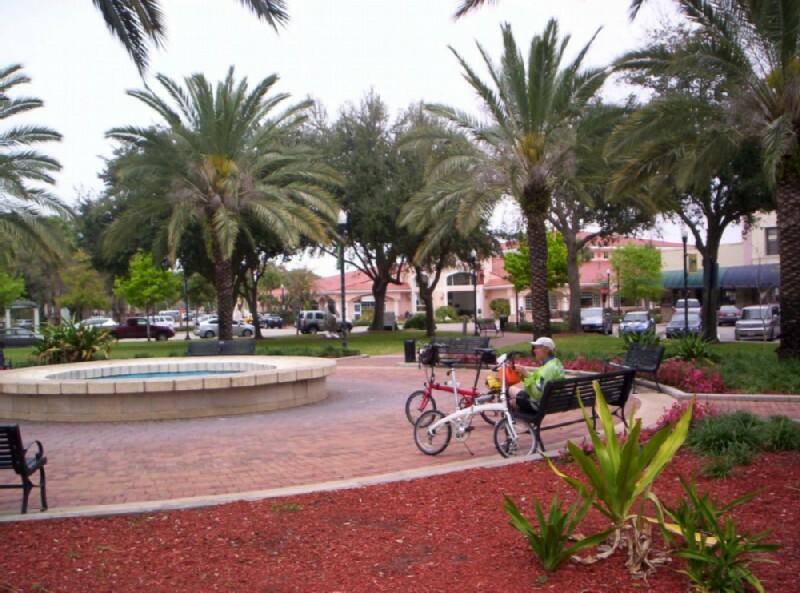 Downtown Winter Haven. The bike trail north to Lake Alfred begins a block from here. Seratoma Park just south of Lake Shipp. 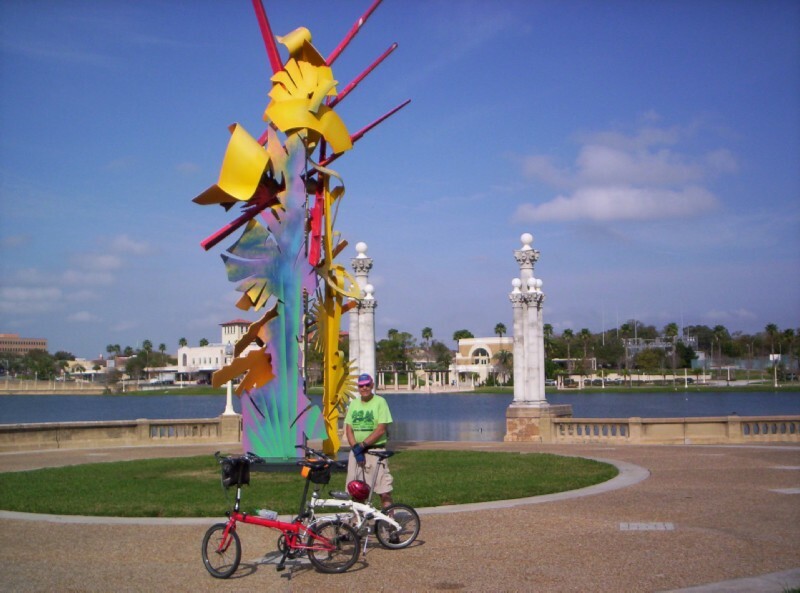 We loaded our folding bikes on a bus heading towards Lakeland and got off in Auburndale, where we rode the 7 mile long Teco Auburndale Trail that begins on the outskirts of Auburndale and goes north as far as Polk City. 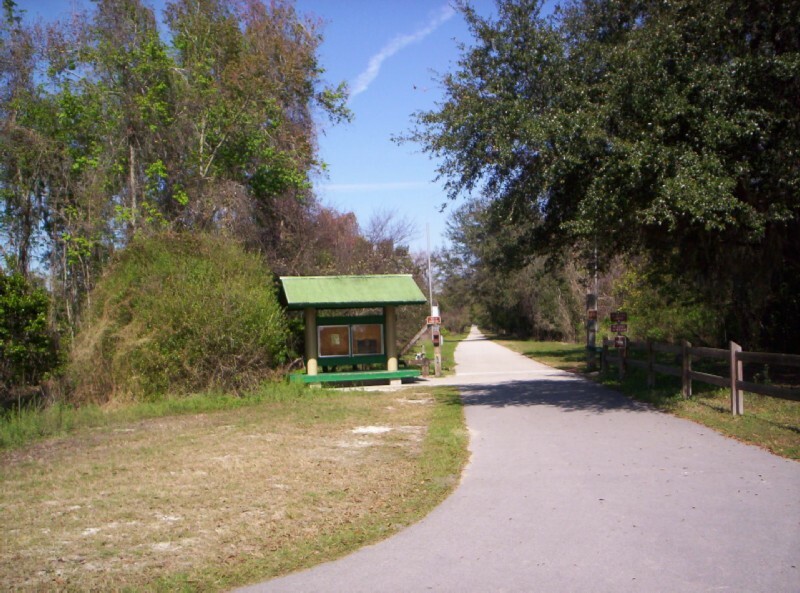 At Polk City the Auburndale Trail ends and the General James A. 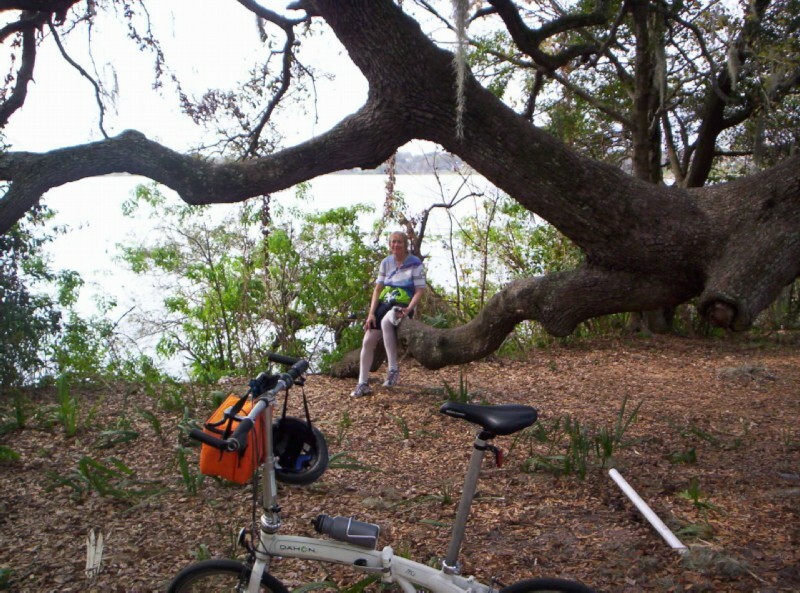 Van Fleet State Trail begins. 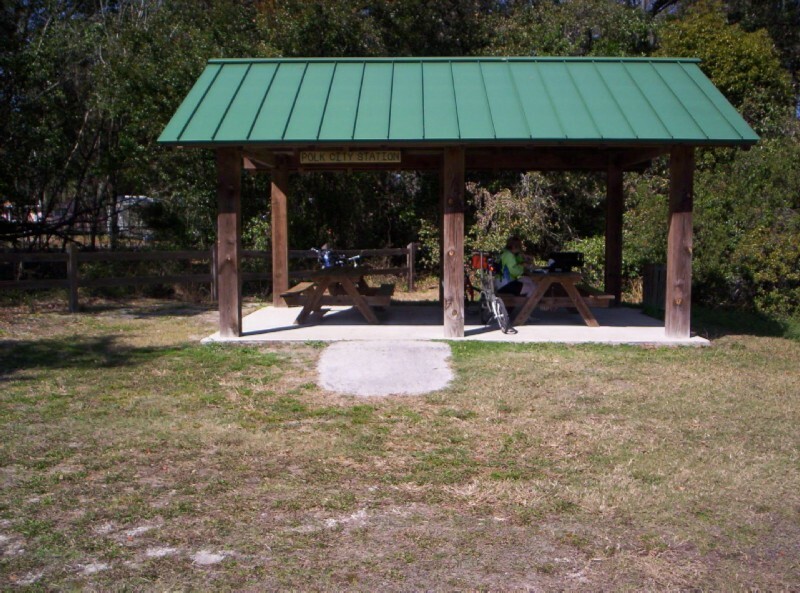 Rest area at Polk City where the two trails meet. 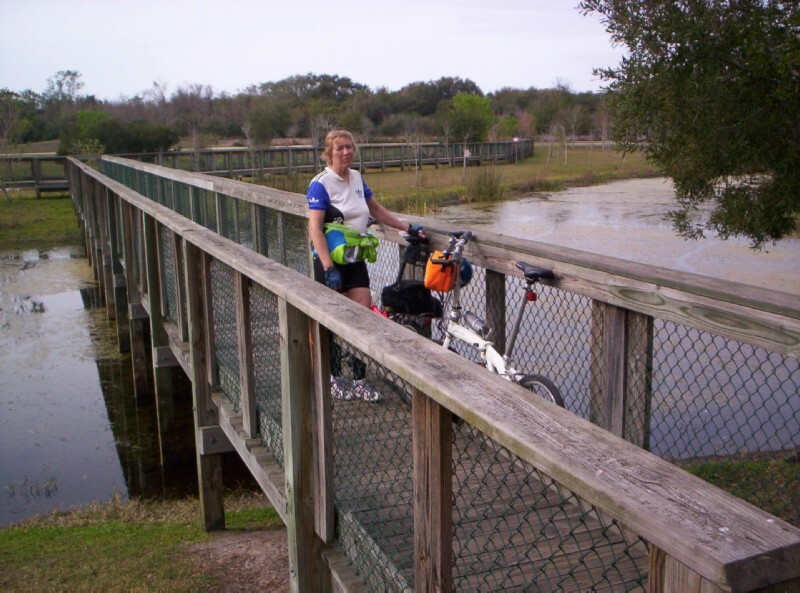 From Polk City you can continue north on the Van Fleet Trail for another 32. 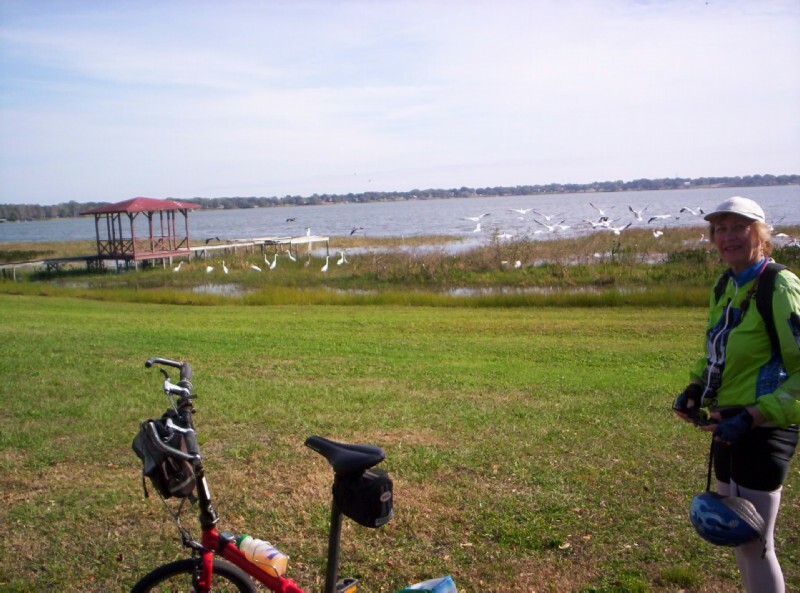 But since we wanted to bike back to Winter Haven from Auburndale, we decided to turn around. Altogether we biked 25 miles that day. 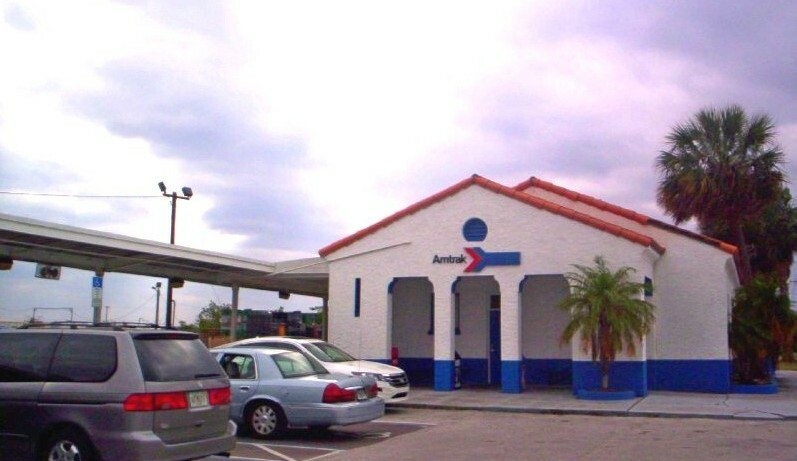 Auburndale is a nice town and it's too bad the train doesn't stop here any more. 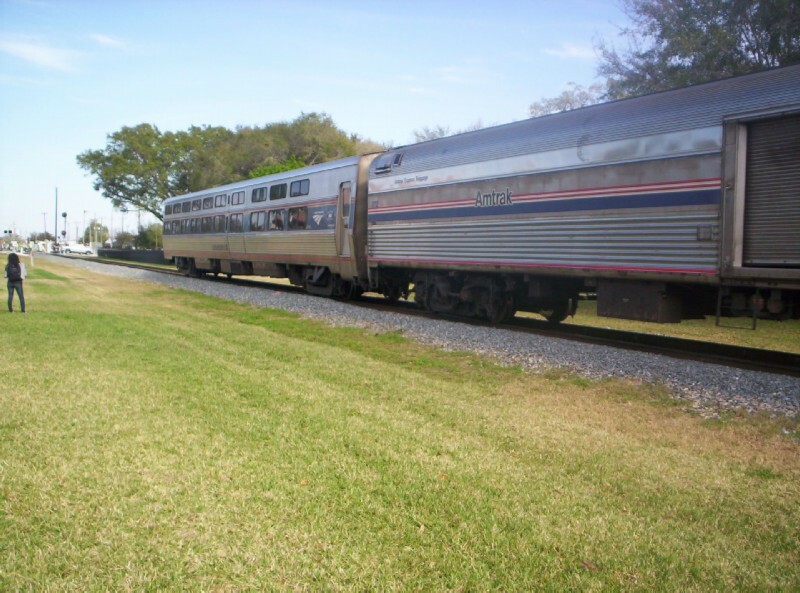 While were we looking around downtown Auburndale, the southbound Silver Meteor came through with a sleeping car deadheading on the rear. The next day we took the same bus, but went all the way to Lakeland. Lake Mirror in downtown Lakeland viewed from the north. Lake Morton just south of downtown Lakeland. 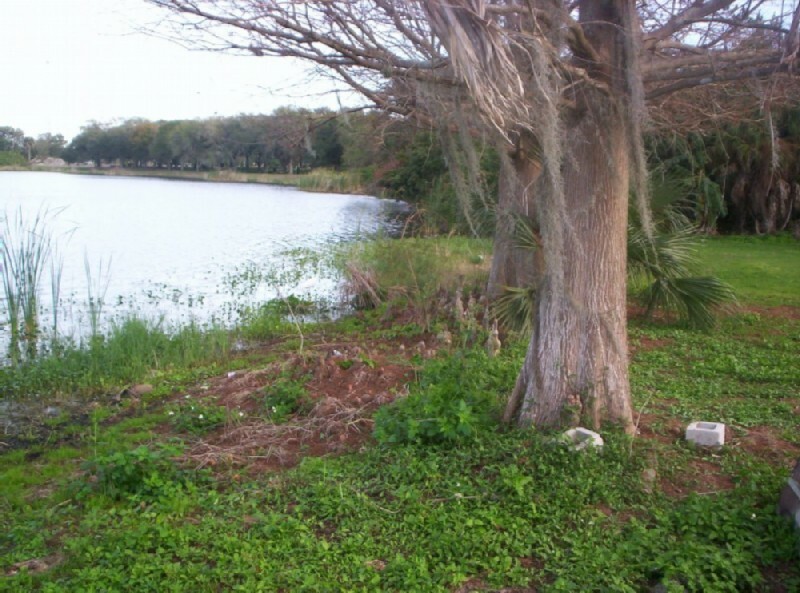 Lake Parker Park on the northeast side of Lakeland. 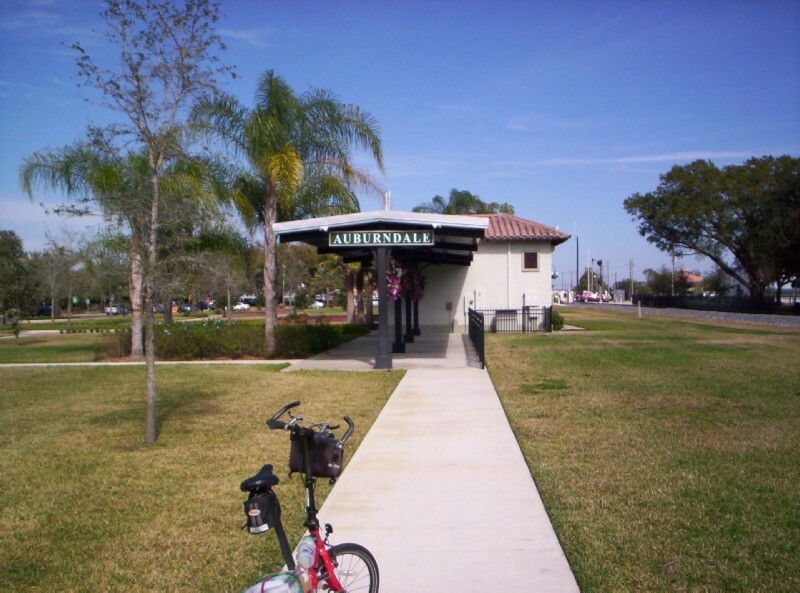 We also took a bus from the transit center in downtown Lakeland to Bartow. Here we picked up the Fort Fraser Trail north to its end near Lakeland. 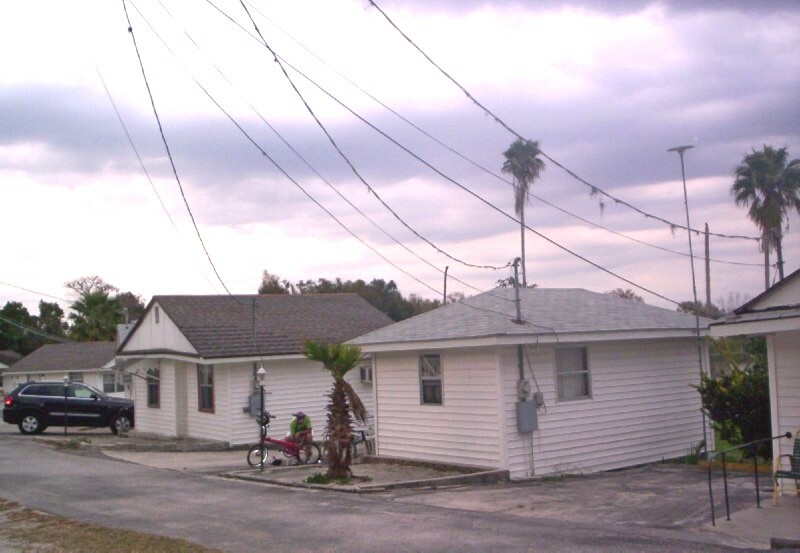 We then backtracked to Bartow and took a side road back to Winter Haven, a total of 29 miles. Ready to go with our bikes packed in "airline legal" suitcases. All went well on the return trip until we tried to board the California Zephyr in Chicago on our way back to Galesburg. Since Galesburg does not have baggage service (it has since been reinstated), we could only check our suitcases with the bikes inside as far as Chicago. When we boarded the coach, someone had used a Red Cap to load 3 large Tupperware tubs that took up the entire downstairs luggage rack; and there was no room for our suitcases. As I was about to put them in the large open space just inside the downstairs coach section, the coach attendant barked at us. The conductor, seeing the bottleneck at the entry way, threatened to throw us off the train, claiming the suitcases were too large. Although, the total inches amounted to less than the upper limit for carry on luggage, one of the dimensions was 2 inches larger the limit. How the conductor knew this without a yard stick, I don't know; but fortunately he left to attend to more pressing duties. So I just left the suitcases in the aisle and went upstairs and took a seat. A little later the coach attendant got on the intercom and announced that the person with the large bags in the downstairs aisle had to do something with them. When I got back downstairs, there was a pile of luggage and other stuff in the space I had wanted to use earlier; and attendant was nowhere in sight. So I just piled the suitcases on top of the stuff; and we were good to go. Now Amtrak regulars will tell you that the carry on luggage limits are not enforced UNLESS you cause some kind of a problem. In this case, the Tuppeware tubs were not a problem until we tried to board. Then we became the problem.